Mano Chilingirian: Everyone agrees today that The Haigazian College produced the 1st rockets shot in the Arab world. After the huge success of the HCRS, what were the political reactions from within and outside the country? 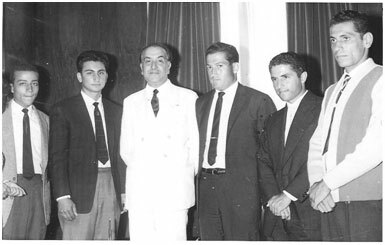 Dr. Manougian: In August 1961, President Chehab invited members of the HCRS to meet with him where he congratulated us. Also, Deputy Emile Bustany was very supportive. The Lebanese government offered us financial support as well as the Army workshop to construct the rocket. Initially we received 500 LL, followed by 25,000 LL for 1962 and 25,000LL for 1963. This encouraged a group of prominent Lebanese to form the “Comite d’encouragement du Groupe Haigazian” to promote the activities of the HCRS. The committee included Dr. Ibrahim Dagher, Dr. Bedros Aznavourian, Mme Issam Hussami, Mlle Huguette Kraichaty and Mme Marie-Paulette Karayan. Our experiments and the activities of the HCRS drew the attention of the Lebanese news media and beyond, including articles in the News Review of the U.S. Information Service and in a publication of the American Friends of the Middle East. I was interviewed for Lebanese television, as well as Voice of America. Various Embassies showed an interest in our activities with visits from Cultural Attaches of the U.S. and the Soviet Union. I did meet Ambassador Porter of the American Embassy. Although I have no proof that foreign agents were monitoring us, I noticed on several occasions that my notes in my office were shuffled on my desk. Mr. Karegeozian: The reaction from not only the other universities or the general population of Lebanon but the other Arab countries as well as Israel was that a small university in Lebanon had the ability to make these multistage rockets, and there was owe and surprise at the outcome. Because I came from Jerusalem, when the rocket exploded and caused damage to the building at Haigazian, my parents indicated that there was a lot of talk on the radio in Jerusalem and Israel about the Rocket club in Lebanon. 2nd from left, U.S. Ambassador Porter, President of AUB, Kirkwood, my wife Josette, and me. Mano Chilingirian: What were the benefits of having such a society to the college in general and the students in specific? Dr. Manougian: It has been fifty years since I realized the dream of studying space flight. 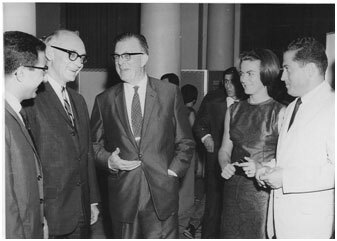 It has been fifty years since the young and dynamic Haigazian College, now a university, provided me, and my students, with a venue to explore the scientific method. It was this young and progressive Armenian institution of higher learning that opened its doors to students of all faiths and ethnic origins. Incidentally, on November 12, 2010, I was the keynote speaker at the 55th anniversary banquette of Haigazian University which was held in Glendale, California. There were about 500 guests who attended. The main topic of conversation was the rocket project. Dr. John Markarian, the first President of Haigazian University, was in attendance. At the age of 90 plus years he even challenged me for a game of tennis. Also present were the French/Lebanese filmmakers who are producing a documentary on the HCRS. They will be coming to Tampa at the end of January to continue the interview with me. While in Glendale Hampar Karageozian – one of the HCRS’ committed members – came to meet with me. After Haigazian he attended AUB and MIT. 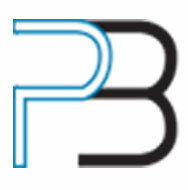 Today, he is a very successful businessman / scientist conducting important innovations dealing with sight and eyes. He is a very good example of the influence the HCRS had on him and others. Mr. Karegeozian: The most important aspect of the HCRS to everyone was the raising of the scientific expectation that a group of young students had been able to put their heads together, and having very little funds they were able to pursue the science. This I am sure raised a lot of scientific interest in me, and my future adventures in science and discovery have been very much impacted by the experience that we had at Haigazian. 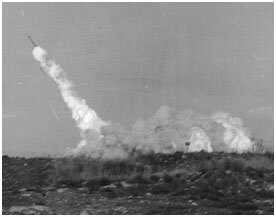 Mano Chilingirian: On November 21, 1962 Cedar-3, a three stages solid propellant rocket prepared by the Haigazian group was launched. It had a length of 6.80 m and a weight of 1,250kg. After several other launchings, an accident occurred during the summer of 1964, which hospitalized 2 students who fortunately recovered. However, the launchings were ended then, and no "big bang" has taken place since. Do you think this accident was the main reason that the Society stopped being active and came to be dissolved? Dr. Manougian: The Society’s activities did not end with the accident. In 1964, after receiving an M.A. 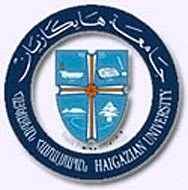 degree from the University of Texas, I returned to Haigazian. To my horror, I found out that a few weeks earlier a member of the HCRS (Hrair) had tried to prepare a rocket with the potassium perchlorate as a propellant. The propellant ignited inflicting Hriar with serious burns. Another student (Hampar) who happened to be passing by rescued Hrair, but in the process he too received severe burns and the two were taken to the AUB hospital. Fortunately, both recovered are successful members of the Society. 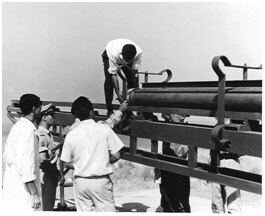 We continued our activities from 1964 through 1966 during which we prepared and launched some sophisticated rockets. In fact the last launching was on August 4, 1966. Once I left Lebanon to continue my education for a doctoral degree, there wasn’t a leader left behind with the same drive and passion as mine to continue the project. By then the rocket project was moving in two directions. Mine was strictly a scientific non-military project and my departure ended that program. The Lebanese army saw the military implications of the project. 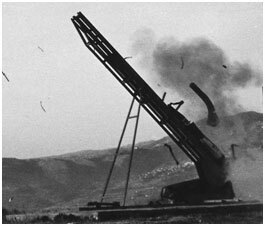 Some believe, and I have no proof, that France pressured Lebanon to discontinue its quest for rocket production. Thus, we had the end of the program. Mr. Karegeozian: In 1964 prior to the accident at The Haigazian College, Manoug Manougian had departed to the US, and Dr. Hart had taken over the responsibility of the HCRS. The dynamic character of what Dr. Manougian offered when he was at the helm was absent. In the accident that occurred at Haigazian Hrair lost his eye. My brother and I were the other students that went into the 5th floor room and got Hrair out of the room and in the process we got severely burnt. On September 23, 1964, Cedar 6 was launched. Cedar 7 explodes on the ramp. On Thursday May 12, 1966, Cedar 7 was prepared for launching. This happened a few days before American astronaut Eugene Cernan’s planned walk in space.